Dave Hodges from The Common Sense Show has published an extremely important piece on the many similarities between Bill and Hillary Clinton and Woodrow and Edith Wilson. Were Hillary Clinton to win the election, she and Bill would most assuredly conspire to advance the NWO globalist agenda that President Clinton zealously promoted with NAFTA. This is exactly how President Wilson and his wife were used in their day. Few understand, but the reality is that Bill Clinton was a stellar cheerleader for globalization to the extreme detriment of the American people. In fact many initiatives of great import happened on his watch that greatly contributed to the implementation of the globalist game plan. It may even be that the covert NWO cabal wants Bill back in the White House (more than Hillary) because of just how effective he was at selling globalization to the whole world. For basically the very same reasons, Woodrow and Edith Wilson were handpicked to occupy the White House just prior to World War I. The ruling elites back then knew that the former president of Princeton would make sure the USA entered WW1, which he did, as well as assist in the establishment of the League of Nations. Wilson was not so successful in accomplishing the second goal … to the great benefit of the American Republic. What Mr. Hodges does quite well in the article below, in addition to recapitulating some very relevant and not-well-known history, is demonstrate just how the MSM takes down anyone who gets in the way of their execution plan towards a One World Government. In fact the MSM organs of propaganda were as perfidious and prevaricating then as they are today. REMEMBER: The Democratic Party is always the party used to sell world war just as they did with Wilson prior to WW1 and Roosevelt for WW2. They are used in this way because the DEMs are supposed to be the “Peace Party”, therefore, should they involve the USA in a major war ‘there must be a legitimate reason for it’… even though there really isn’t. WHAT A PLACE ! ! ! N.B. *Yes, the world has been deeply embroiled in the Cold Phase of World War III under the direction of Nobel Peace Prize winner Barack Obama. That’s why they gave it to him. That’s also why the gave the same peace prize to Al Gore, so that he could lead the war against geoengineered Global Warming! That’s not to say that the international banksters are not really behind ALL of these wars. They just use the Democrats to start the really big ones. 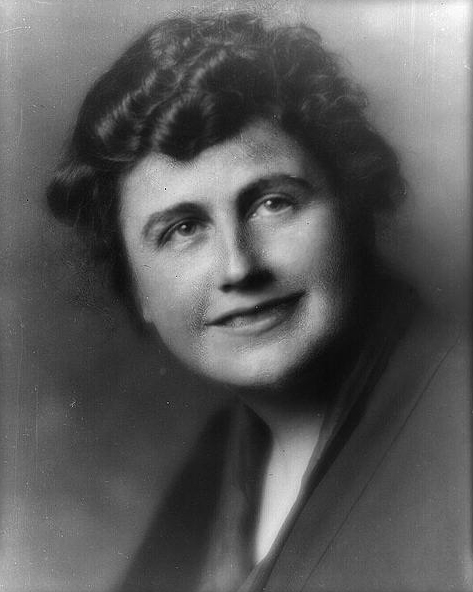 Edith Wilson, second wife of former President, Woodrow Wilson, has much in common with Bill Clinton. 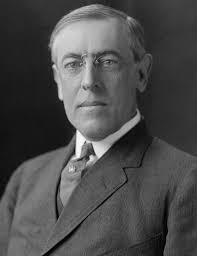 When avowed globalist, Woodrow Wilson had a stroke on a train outside of Colorado Springs, as he was touring the country begging Americans put pressure on the Senate to approve America’s admission to the League of Nations. The League of Nations was the early predecessor to the modern-day United Nations. The Senate, led by Henry Cabot Lodge, rejected Wilson’s post-WWI settlement which would have stripped away American sovereignty as the globalist treaty, the Treaty of Versailles was soundly defeated. Those were the days American actually had some politicians who gave a damn about the future of the country. Wilson’s stroke was debilitating and he was one step above being comatose. The League of Nations was brain-child of the newly emerging globalist cabal that would shortly evolve into the Council on Foreign Relations, headed by John Rockefeller Jr. Following the stroke, it was decided that Wilson would appear to be the President. In actuality, Wilson’s wife, Edith, would actually serve as the nation’s first woman President, albeit an unelected President. For nearly 18 months, the First Lady oversaw her husband’s affairs while he recovered from his illness. Some of her decisions had very serious consequences. The Wilson administration hired political hacks and trolls that berated anyone who dared suggest that Woodrow Wilson was not the one making decisions from the Oval office. Wilson would be propped up in his Presidential limousine as he pretended to interact with the public. However, all the real decisions were decided in private in the Oval office virtually nobody was granted access. Everything went through his wife. Meanwhile, the trolls berated and threatened anyone who would dare tell the truth about Wilson’s true medical condition. The nature of Wilson’s presidency made this development very ominous. As anyone who knows their history will recall, Woodrow Wilson was an absolute globalist puppet, who fell under the control of the George Soros of his day, Colonel Mandell House. Wilson’s “reforms” included the introduction of the graduated income tax, authored by Rockefeller’s lawyers and the Federal Reserve was born. This was the same President who had lied America into World War I. Ron Paul has called Hillary, the “War President”. Hillary Clinton and Woodrow Wilson are the same person. Eric Schmeltzer, a propandist writer for the Huffington Post, is bashing other mainstream media outlets and personalities for their unaltered coverage of Hillary Clinton’s medical issues after a video of her collapsing following a 9/11 memorial ceremony in New York City following the 9/11 Commemoration in which Clinton collapse because of oppressive heat (75 degrees). Schmeltzer also attacked figures in the social media for exposing Clinton’s health to public scrutiny. This is reminiscent of what Wilson’s trolls did for 18 months as Wilson’s virtual corpse completed the last 18 months of his Presidency. Journalist, such as Schmeltzer, are serving the role of a troll, as did the White House trolls did during the Edith Wilson Presidency. I have read accounts by more than one physician that think that Clinton may only have a year to left live. Regardless, of the prognosis, Hillary Clinton is not fit to be campaigning for President, much less serving as the President. Hillary’s NWO handlers obviously knew this last year. However, their goal was obviously to get her elected by any means possible and then to just get her through the inauguration in January of 2017. This strategy is in jeopardy. All the globalists had to do was get her through two more months of semi-campaigning and then get her to stand just long enough to take the oath of office and husband-in-name-only, Bill, would effectively run the country. I look for the globalists to continue with this strategy and even employ doubles to complete the campaign. “This former advertising executive bears such a striking resemblance to US presidential hopeful Hillary Clinton that she quit her job to work as a full-time lookalike. Clinton’s ‘twin’, Teresa Barnwell, 61, earns thousands every month for impersonating the presumptive Democratic nominee. This is obviously the globalist strategy as they simply want to get her to the election, that they will steal through electronic voting machines, seven million Americans who are double registered to vote in more than one state, and the wholesale voter registration by Obama of illegal aliens who will vote in our upcoming election. This is how the globalists plan to steal this election. They just need Clinton to stay alive for five more months. Then, they only need Hillary to be able to stand long enough to take the oath of office. 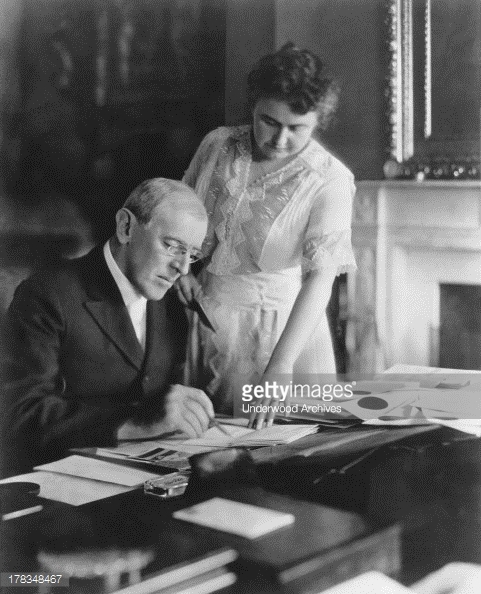 Bill Clinton will become the Edith Wilson of his generation. Bill Clinton, by default will become the first President, since FDR, to have a 3rd term in the White House. As Edith Wilson attempted to push through the Treaty of Versailles, which would have undermined American sovereignty, Bill Clinton will usher the surrender of American sovereignty to the United Nations (Agenda 2030 and the UN Small Arms Treaty, etc.). America is at a crossroads and like Clinton, America could be on her last legs.